In January, I had the opportunity to visit our partner program, SMV Green, in northern India. While there I first met with Ramla, one of SMV Green’s early customers. Several years prior, Ramla earned his living moving a pushcart up and down streets of Varanasi, selling basic items. His income from this work fell below 100 rupees per day (less than $2). In 2012, Ramla came across SMV Wheels (which preceded SMV Green), and leased to own a bicycle rickshaw, improving his income substantially. About 3 years later, Ramla upgraded to a lease to own electric rickshaw through SMV Green, and currently earns 600 – 700 rupees per day - a 500-600% increase over that original push cart. 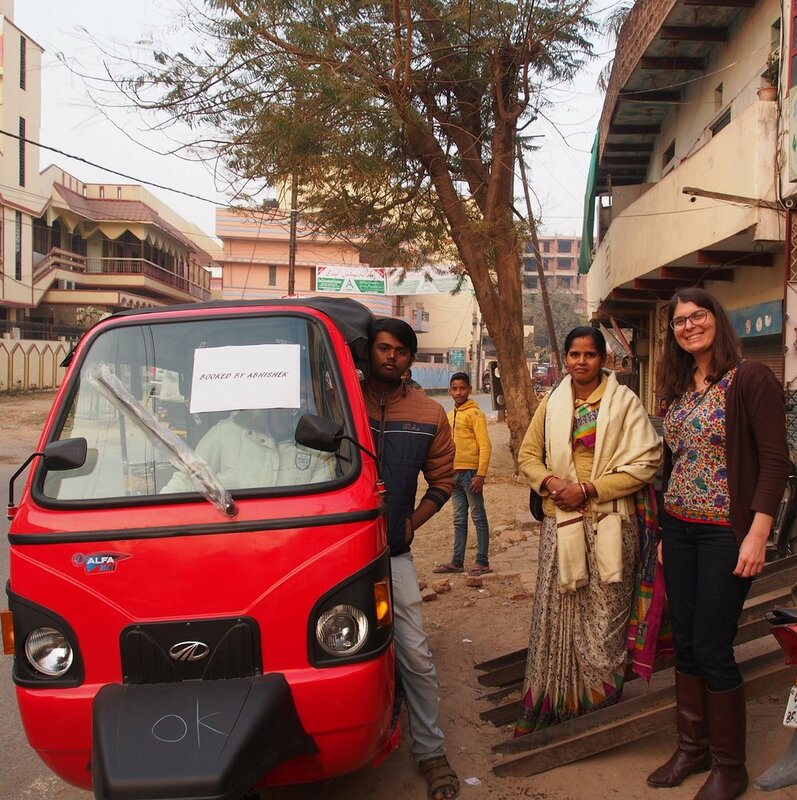 SMV Green is company that connects individuals in poverty with lease-to-own electric rickshaws. Through this model, new rickshaw owners effectively drive themselves out of poverty as new owners of productive assets rather than renting vehicles at exorbitant rates. The e-rick is the sole source of income for Ramla’s household of eight. It provides enough income to put both of his grandchildren through school. This is the first generation of his family who are able to receive primary education. Many of our 3rd Creek Foundation supporters helped us raise funds 2 years ago to support the Upaya Social Ventures Credit Facility, which funded SMV Green with roughly $22,000. That investment capital has helped the company expand to reach additional new job holders like Ramla. In 2018 alone, SMV Green has supported 172 new rickshaw drivers, improving their income by 42%. Individuals like Ramla influence how we think about 3rd Creek Foundation's role in alleviating global poverty. Earlier this year, our team made a commitment to direct future grant funding specifically toward people like Ramla who are experiencing extreme poverty (defined as less than $1.90 of income per day). The Our Approach page on our new website describes this in further detail. In addition to direction-setting this year, 3rd Creek Foundation also welcomed new grant and impact investment partnerships with Street Business Schoool in Uganda, the Anza Growth Fund in Tanzania (see blog), and the Chin Women’s Empowerment Group in Myanmar. We are currently raising funds to support our 2019 grant-making. The first $2,500 of donations will be matched, and 100% of contributions will be directed toward our partner programs unless the donor requests otherwise. If you’d like to make a donation, please click here. Thank you for being our friends and supporters! We wish you a wonderful holiday season and all the best in the new year.